In the Campus district of Charlottenburg, near to Tiergarten and the Spree, the Berlin International offers accredited and English taught study programs in Faculties of Design and Business Administration. Thus, the students of Berlin International acquire a worldwide recognised Bachelor of Arts according to the German curriculum with the advantage of an academic education in English, being especially in the fields of design and business authoritative. Above all, it is one of our goals to bring native and non-native speakers together to enable them all completing their studies successfully. Creative and critical thinking, problem solving strategies, interdisciplinary approaches and intercultural skills are of particular importance to all our programs. Berlin International is part of a global network that enables students to spend their studies at different locations. We want to enable our students international experience and open up worldwide career opportunities. Ready, steady, go - how to apply! As well as fulfilling their academic needs, our staff is also interested in preparing students for the interconnected world in which we live by promoting cross- cultural understanding through international academic co-operation and joint projects. Driven by internationality, Berlin International provides its students not only fully English taught programs, but also a diverse environment full of students and staff from around the globe. By having this as a foundation and offering a variety in all teaching programs by not only putting a focus on theory but also emphasizing the practical component, Berlin International gives its students a perfect fundament for taking a step towards the global job market. Ich habe große Marketingerfahrungen gesammelt, seit ich ein Praktikum im Marketing hatte. 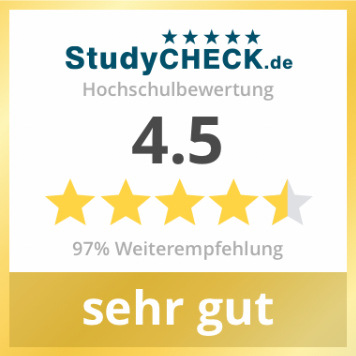 sowie praktische und analytische Fähigkeiten in Bezug auf Managementkurse. Ich liebe das internationale Umfeld. BI gibt Ihnen die Möglichkeit, an Designkursen teilzunehmen, um einen breiteren Weg zu finden. Die Statistik veranschaulicht, wie hoch das Interesse für die Berlin International unter Studieninteressierten ist. Studieninteressierte gelangen mit diesen Suchbegriffen auf das Hochschulprofil der Berlin International.